Suitable for those who only require the 24ft lorry. We provide long term and short term leasing contracts. Movers will be there to help you pack your office equipment and machinery and transport them in our 24ft lorry. Large transport for items that cannot fit into smaller vehicles. The 24ft lorries are able to provide quick transport. The 24ft lorries are the largest vehicles in our fleet and also have one of the highest capacities. More commonly used for the transportation of heavy machinery and equipment, they are not frequently seen on the road. The Class 4 license is also required to drive these size of vehicles. 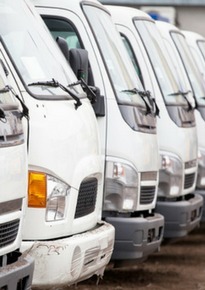 Our company has been purchasing and leasing vehicles from Rentalorry for awhile. Their customer support and maintenance services are really good. The Rentalorry team helped my company with our office move and they were really professional and helpful. Thank you! Tailgates – Very frequently required for the 24ft lorry, the tailgate helps with the loading of heavy cargo onto the lorry when a forklift is not easily available. The tailgates come in varying capacities so let our staff know what you will be loading and also the cargo’s weight and we will advice you on the best tailgate to suit your needs. Cover – The 24ft lorry is available in open top, box or canopy. Deciding on what to get would depend on the length and height of your cargo as well as whether it can withstand rainy weathers. At Rentalorry, we have a range of brand new and used vehicles for you to choose from. No matter what your budget is, we would have a vehicle to suit your needs. We also have strategic partnerships with various companies to ensure that we can provide the best prices to our customers. We provide comprehensive training for all our support staff to ensure that they are able to provide the best customer service for our customers. Experienced in cargo transportation, moving and relocation, they would be able to advice you on the best vehicles to suit your needs. If you think the 24ft lorry is too large, you can also choose the smaller lorries from our fleet. We also have a variety of vans or pickups for you to choose from.